This week has brought a breakthrough for the Russian-backed Syrian operation to retake eastern Aleppo, allowing humanitarian relief to be brought to tens of thousands of civilians living in the captured districts, the Russian Defense Ministry said. “Over the past few days, well-planned and careful action by the Syrian troops resulted in a radical breakthrough. Half of the territory previously held by the militants in eastern Aleppo has been de facto liberated,” Gen. Igor Konashenkov, spokesman for the defense ministry, said. “The most important thing is that over 80,000 Syrians, including tens of thousands of children, have been freed. Many of them at long last were able to get water, food, medical assistance at humanitarian centers deployed by Russia. Those Syrians served as human shields in Aleppo for terrorists of all flavors,” the general stressed. He added that calls by some Western officials to subject Russia to further sanctions over the operation in Mosul indicated that those countries did not want civilians in Aleppo freed. Earlier, head of the German Parliament’s Foreign Affairs Committee Norbert Röttgen, along with other MPs, called on Berlin to impose more sanctions against Russia over the offensive in Aleppo, and open an airlift to the militant-held areas similar to the historic Berlin airlift in the late 1940s. They cited damage allegedly caused to the city by Russian airstrikes. The strikes, according to the Russian military, were paused in mid-October and did not resume. The German Foreign Ministry said Damascus and “its supporters, above all Russia and Iran, bear the biggest responsibility” for civilian suffering in Aleppo. The Russian criticism comes as the Russian-run Syria Reconciliation Center reported that over 500 fighters in Aleppo chose to surrender to the advancing Syrian Army. 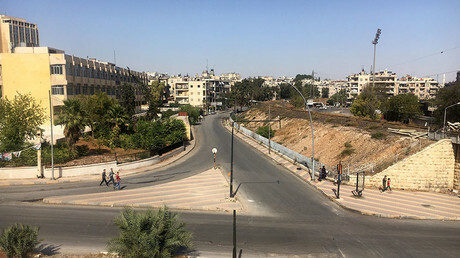 “Over the past 24 hours, 507 fighters chose to leave the city districts that remain under terrorist control to the safe areas and surrender their weapons. In accordance with the Syrian president’s offer, 484 militants, who are local residents, have been immediately pardoned,” the report said. This week, Damascus intensified its siege of eastern Aleppo, a city that for years was split between government troops and militant forces. The Syrian Army has captured the north-eastern part of the city. The operation also put a strain on the ability of armed groups to prevent civilians from fleeing areas under their control. 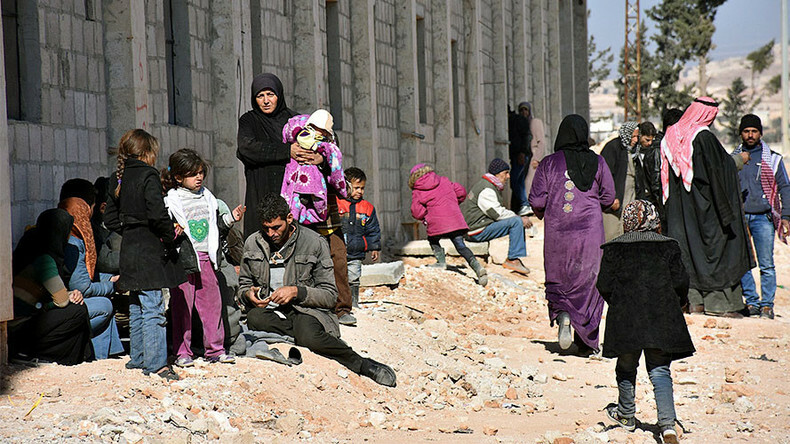 Previously, some of the groups controlling eastern Aleppo, like the Al-Qaeda off-shoot Al-Nusra Front, used deadly force to stop civilians trying to escape. The military success of Damascus in Aleppo come as US Secretary of State John Kerry is engaged in a last-ditch effort to convince Russia to stop the operation, according to a Washington Post column. The diplomat reportedly wants to keep rebels in control of part of the city before President-elect Donald Trump takes office in January and withdraws Washington support from the militants.